Dental implants are now state-of-the-art, and their use is rapidly increasing in popularity. It is commonly known that most oral surgeons and periodontists place implants. Additionally, some prosthodontists place implants, and recently endodontists are beginning to place implants. Estimates concerning the percentage of general dentists placing implants vary from five percent to 50 percent. Conclusions on this subject are difficult to make. It has been my observation when polling large continuing education audiences that only a small percentage of general dentists place implants. However, when the large number of general dentists are considered, even a small percentage of them is a relatively large number of practitioners. According to the most recent data from the American Dental Association (ADA) on statistics of general dentists and specialists, the approximate number of practicing general dentists in the U.S. is about 140,000.1 If even five percent of them are placing implants, that represents about 7,000 general practitioners placing implants. It appears that about as many general dentists place implants as oral surgeons (7,000 each). Add to that number 5,000 periodontists, a few prosthodontists (maybe one-third of the 3,500 practicing) 1,200 prosthodontists, and very few endodontists. The total number of dentists placing implants in the U.S. appears to total about 20,000 practitioners, or about 11 percent of all dentists. A highly important question is apparent: Who coordinates the overall diagnosis and treatment planning for patients needing implants? It is my observation that this subject is in chaos! I see some general dentists and non-surgical specialists sending patients to those accomplishing implant surgery and merely asking if implants can be placed. The following analogy is directly related to the implant surgery subject. If you are having a home built, it is customary to find a reputable architect and general contractor to plan the building and to provide the structural and physical needs of your home. The result of their deliberations might be equated to an oral diagnosis and treatment plan. When you have approved the building plans for your home, it is customary for the general contractor to make arrangements with several subcontractors, such as electricians, plumbers, roofers, etc. Let’s relate this analogy to the dental implant situation. Who is the general contractor relative to implant dentistry? Who will follow the treated patient for the many years the treatment is expected to serve? The general contractor is the general dentist or prosthodontist (restorative dentists), either of whom is usually responsible for the long-term overseeing of the oral therapy. Who is the sub-contractor for dental implants? The sub-contractors, who do not usually follow the patient over the service life of the oral therapy are the periodontists and oral surgeons or those other practitioners who will be surgically placing the implants, but not continuing with the implant restoration and long-term patient care. If you agree with my analogy, it becomes obvious that often the planning for dental implants is backwards in dentistry. The subcontractors are telling the contractors what to do! The following are my observations on the responsibilities of the contractors, the general dentists or the prosthodontists, relative to implant placement. I have previously written about the desirability of having dental staff personnel collect all of the data for the dentist to accomplish a thorough diagnosis and treatment plan before the dentist spends time with the patient.2 Assuming the following data has been collected and patient education has been provided by staff, it is relatively easy for the dentist to make a logical and predictable assessment about the possibility for placement of dental implants. After this assessment is completed, the patient is either treated by the surgically oriented restorative dentist, referred to a surgical dentist, or conventional therapy is provided without implants. The diagnostic needs necessary for optimum treatment planning for implants are listed on the left. Assuming all of the appropriate data collection tasks described above have been accomplished by dental hygienists or dental assistants educated in diagnostic data collection, general dentists or prosthodontists (the general contractors) should complete the diagnosis and treatment plan and make the tentative decision as to whether or not implants should be placed. The patient should then be sent to the practitioner placing the implants with detailed information about the planned location for the implants, the type of abutments, any expected special challenges that are present, including excessive occlusal forces as observed by previous wear on teeth, potential aesthetic compromises, type of prosthesis planned, etc. It should then be the responsibility of the person placing the implants to communicate with the general dentist or prosthodontist concerning any special surgical challenges that are present. This interaction of the restorative and surgical practitioners should optimize the possibility for successful implant treatment. Following are some suggestions relative to the conditions observed by the general dentist or prosthodontist that can make implant placement and restoration successful or a failure. If the patient is referred, these conditions should be relayed to the surgical dentist. Numerous conditions make implant placement questionable or contraindicated. When these conditions are observed by the restorative dentist, and conclusions about treatment needs are made, it should usually be unnecessary to refer the patient to a surgical dentist for further consultation. Restorative dentists should consider the reasons for rejecting implants and identify them to patients, thereby saving the patient the time, money, and frustration of an additional consultation. In my opinion, panoramic radiographs are not totally adequate for proper diagnosis for implants. Some method to estimate facial-lingual bone anatomy is necessary. Such radiographs are expensive and unnecessary if it is visually obvious that there is not enough bone present unless grafting is accomplished. I suggest tomographic radiographs for the areas of planned implant placement. If this is not possible, I suggest that using ridge mapping calipers to measure facial-lingual bone presence is a relatively good substitute for tomographic radiographs.4,5 Example sources for such calipers are Salvin (Charlotte, North Carolina) and Biomet Microfixation (Jacksonville, Florida). When cone beam radiology becomes more available and less expensive, this type of radiograph will be a great way to observe facial-lingual bone presence. In my opinion, after safely and successfully placing implants for 20 years, the guidelines listed to the left on the next page are my personal guidelines for bone presence relative to the potential for standard diameter root form (4mm) implant placement without grafting. Of necessity, each of these suggestions is often disregarded because of clinical circumstances, but the patient should be advised of the risks involved. If the described bone characteristics are not present, many patients will not accept grafting. It has been my experience that most patients do not want and/or cannot afford extensive grafting, thereby influencing treatment plans toward non-implant dentistry. There should be at least 6mm of usable bone in a facial-lingual dimension. There should be at least 10mm of usable bone in a crestal-apical dimension. There should be a minimum of 1mm or more of bone remaining before contacting vital structures, such as the maxillary sinus, incisive foramen, or the inferior alveolar canal. The locations of the nerve and blood vessel contents of the mental foramen are highly unpredictable, and I suggest leaving an optimum of 5 mm of remaining bone before contacting the canal. Although the direct relationship of bruxism to implant failure is still controversial, the presence of overt bruxism or clenching makes long-term survival of implant prostheses questionable.6,7 In my opinion, these conditions often change my treatment plans from fixed ceramic restorations to removable restorations with polymer occlusal surfaces. Polymer on the occlusal surfaces of removable restorations wears as the patient chews, and in my experience, has been more acceptable and predictable than ceramic occlusal surfaces for the bruxing or clenching patient. Patients with aggressive periodontal disease are often poor candidates for extensive restorative therapy because of the ongoing negative characteristics of periodontal disease. There is not unanimity of opinion on the success of implants for persons who have had teeth extracted because of periodontal disease. Unfortunately, I have had many patients referred to me, as a prosthodontist, for whom a surgically oriented practitioner has placed implants between mobile periodontally treated teeth. Often, these cases are doomed to imminent failure as the implants assume the occlusal load, and the natural teeth intrude. For such patients, I usually plan the fabrication of a removable partial prosthesis with metal occlusal rests on each remaining tooth. When, or if additional teeth need to be extracted, replacements can easily be added to the metal framework of the removable partial dentures. I suggest making mounted or unmounted diagnostic casts for patients considering implants. Such casts are excellent educational aids, and they provide necessary information related to occlusion and esthetic considerations. General dentists or prosthodontists are usually the practitioners who are expected to have long-term responsibility for patients who have received implant supported dental restorations. Surgically oriented dentists, including oral surgeons, periodontists, some prosthodontists and endodontists, and many general dentists accomplishing referral placement of implants are those contracted to place the implants only. 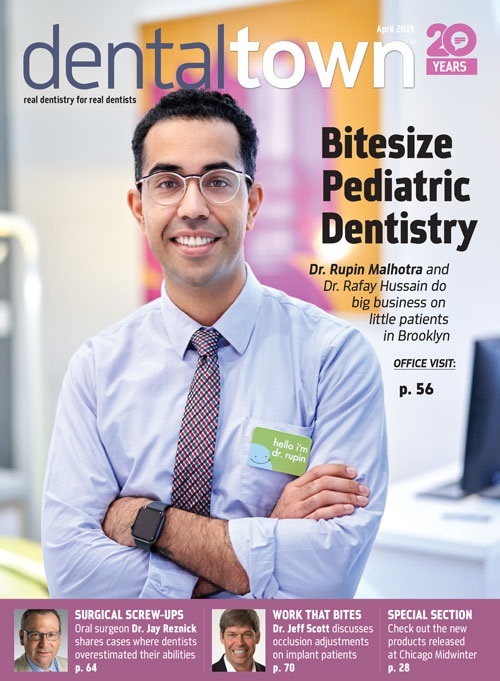 This article suggests that general dentists and prosthodontists should accomplish thorough diagnosis and treatment planning before referring implant candidates to surgically oriented dentists, and that they should provide specific treatment plans and related diagnostic information to the surgical dentists. 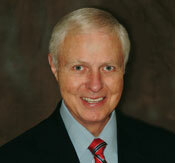 Click Here to Discus "Who Should Direct and Coordinate Dental Implant Placement?" 1. ADA Survey Center. 2004 Distribution of Dentists in the U.S. by Region and State. American Dental Association 2006: 15-7. 2. Christensen GJ. Improving treatment plan acceptance using diagnostic data collection by dental staff. JADA 1999; 130 (11): 1629-31. 3. Hwang D, Wang HL. Medical contraindications to implant therapy: Part 1: absolute contraindications. Implant Dent; 15(4): 353-8. 5. Wilson DJ. Ridge mapping for determination of alveolar ridge width. Int J Oral Maxillofac Implants. 1989 Spring; 4(1):41-3. 6. Lobbezoo F, Van Der Zaag J, Naeije M. Bruxism: its multiple causes and its effects on dental implants – an updated review. J Oral Rehabil. 2006; 33 (4): 293-300. 7. Lobbezoo F, Brouwers JEIG, Cune MS, Naeije M. Dental implants in patients with bruxing habits. J Oral Rehabil 2006; 33 (2): 159.